At Circle BMW, our highly qualified technicians are here to provide exceptional service in a timely manner.Considering your brakes are all that are responsible for slowing and stopping the thousands of pounds of metal you’re piloting (unless you find a convenient uphill slope), it’s important that they function properly. Unfortunately, too many people disregard this critical component of their BMW and wind up paying costly repairs instead of a few bucks for new brake pads. Stay vigilant and watch for telltale signs that your pads may need replacement. The braking system on your BMW is the number one thing keeping you safe while driving, so keeping them in optimal, working shape is incredibly important.BMW cars and SUVs are equipped with electronic brake monitoring systems, so keep an eye on your dashboard for indicator lights that tell when there is a potential issue with your braking system. There are different warnings to alert you if the system senses your front or rear brake pads are close to their wear limit, or if your brake fluid should be replaced. If a warning light of any kind pops up on your dashboard, be sure to bring your BMW into our New Jersey BMW Service department to have your vehicle checked out. It’s also possible to experience warning signs while you’re driving before your indicator lights come on. Paying attention to how your BMW brakes and drives can help you get your brakes looked at before they reach the point of potential failure or requiring additional brake services. Think there may be an issue with the brakes on your BMW? You may be right if you are hearing a grinding or squealing sound when you step on the brake pedal, if your BMW is pulling to one side or the other while braking, if your brake pedal feels spongy or you feel a pulsing when trying to come to a stop. If you experience any of these commons signs of potential brake issues, it’s important to bring your BMW car or SUV into the Circle BMW Service Department to have them checked out. Because car brakes wear themselves down every time you use them, any potential problems will only get worse over time. If you experience anything else out of the ordinary while driving in New Jersey, the sooner you bring your BMW in to have your car brakes checked, the better off you will be. How Often Does Your BMW Need Brake Service? 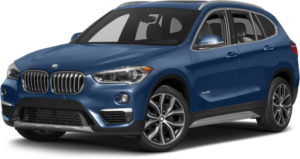 The frequency at which you should have the brakes on your BMW checked is heavily dependent on how you drive your car or SUV. If you are a commuter or city driver, chances are you use your brakes more often than someone that mostly drives on New York or New Jersey interstates. The more often you use your brakes, the more often you should have your BMW brakes looked at. Why do I Need to Repair My Car Brakes? All car and SUV brake systems (including brake pads and brake fluid) wear down over time and will eventually need to be replaced. One of the most common brake repairs we perform at Circle BMW Service in Eatontown is the replacement of brake pads.